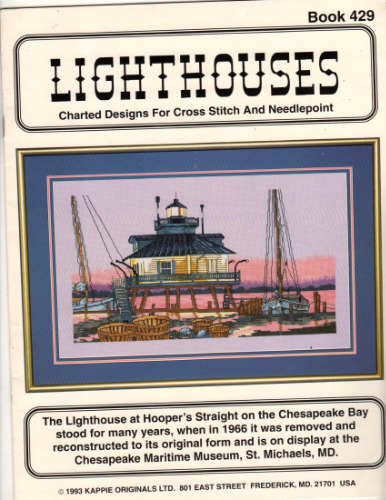 Kappie Lighthouses counted Cross Stitch and needlepoint Pattern booklet. Mark Brockman. Lighthouse at Dusk, Portland Head Lighthouse. Appears new.